Apple cider vinegar is one of the potent home remedies that help in treating cold sores. This product contains various antibacterial, anti-inflammatory, and antiseptic agents making it a worthwhile treatment. Other properties of this product are somehow contradictory. 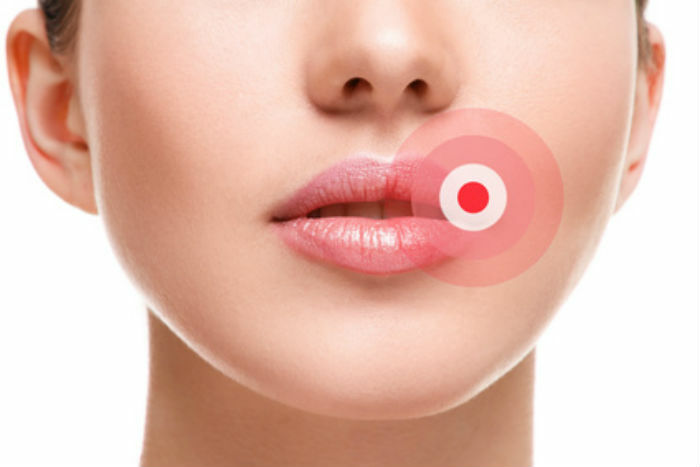 According to medical research, the cold sores tend to find their lives in jeopardy in an alkaline environment. However, the apple cider vinegar is highly acidic, and sometimes it is used in regulating the PH levels in the body. Is Apple Cider Vinegar Good For Cold Sore? Additionally, there is a stinging sensation when you apply the apple cider vinegar (ACV) directly. This article is going to discuss the various ways that you can get rid of the cold sores fast using the apple cider vinegar. We are also going to look at some of the positive attributes of the ACV itself. Additionally, this article will also let you know some of the negative side effects of ACV that some individuals may inevitably experience. Although most of the over counter medications may help you get rid of the cold sores, most people tend to choose a more natural product as most of these over the counter drugs are chemical based. The natural remedies for cold sore have become very popular, so you do not have to be afraid of using traditional medicines. In fact, the FDA has approved most of the traditional medicines to get rid of the cold sores. However, remember, what may work wonders for you may not give the same results for your partner or friend. For this reason, there are a considerable trial and error methods utilized in order to get the fastest results. Lets us look whether the ACV is good for cold sores or there are other better options for the treatment. Cold sores are also referred as fever blisters. The Herpes simplex virus causes them. In most cases, this virus gets inside our body from a young age. However, it remains dormant in the body until stress or lowering of the immune symptoms. When this occurs, the virus results in visible symptoms. Similar to most of the other virus, once they get inside the body, there is no cure for the herpes simplex virus(1). However, by using the apple cider vinegar, the cold sores heal faster. There is also reduction of the stinging and itching that accompanies the breakout of a cold sore. In most cases, when you contact the herpes simplex virus, you will not know that you have it. This virus comes in forms. These are the HSV -1 and the HSV -2. The HSV-1 is usually spread through oral secretions of sores on the skin. It is also the main cause of the cold sore although the SSV-2, which is sexually transmitted can, also results in sores in the mouth and other areas of the body. Become ill or overly fatigued. You have a trauma in the affected area. The occurrence of the cold sores differs from one person to the other. Some individuals may have a few cold sore breakouts while others may experience them on a regular basis. If you have ever experienced small painful blisters on your upper lip, you may be suffering from cold sores. The blister may appear as a single sore while other times it may occur in clusters. After developing the sores, it breaks open after a few days, and a clear liquid starts to ooze. You can transmit the virus at any time even during the dominant stage. However, you should be extra careful especially during the oozing period. This is because if another part of your skin meets the liquid that oozes from the blister, another sore may form. The cold sores are painful, itchy, and ugly to look. This causes a lot of embarrassment to individuals who already have one. For this reason, you should get rid of the sores as quickly as possible. Is Apple Cider Vinegar a Good Cold Sore Remedy? There is a need for a definitive solution for the cold sores. As mentioned, these soles are painful and may lower your self-esteem. Despite the fact that there is no cure for the cold sores, using the ACV will offer you with numerous benefits when it comes to hastening the speeding the healing process. Moreover, the ACV serves as a strong reliever of pain and itching that accompanies the cold soles. This makes it a great alternative to fix the discomforts that are associated with the cold sores. Additionally, as aforementioned, this product contains potent anti-inflammatory properties, antibacterial and antiseptic properties, apple cider vinegar can serve as a great way to relieve pain. Using the ACV regularly will dry the sore quickly; reduce the size thus quelling the irritation. The following are some of the ways that the apple cider vinegar works to remove the cold sores. The apple cider vinegar is highly acidic. Using it will balance the PH levels. By so doing, this process will help to dry the blister. Removing the fluids will facilitate faster healing(2). Similar to other natural remedies, the apple cider vinegar is loaded with crucial nutrients that boost your immunity. Enhancing your immunity will help your body to fight the infections easily. Additionally, the apple cider vinegar contains strong antioxidants properties(3) that help to shield the virus from attacking your skin. Moreover, this product has antiseptic properties that prevent the virus from spreading. This is important in quarantining the virus. Treating the cold sores using the Apple cider vinegar is straightforward. Although there are various ways that you can use to apply the ACV to the sore, the most techniques involve the use of a cotton ball, ACV, a small ball and five minutes of your times. Below is one of the common techniques of using the AVC. Note you should expect a stinging sensation when applying the ACV; however, it wears down after a few minutes. Follow the procedure below on soaking the cotton ball in ACV. Instead of holding it in place using your fingers, use a bandage tape to hold the cotton ball. This should help you hold the cotton ball for a night. The prolonged contact helps to dry out the cold sore faster. We also have another method that involves adding a few drops of tea tree oil after application of the apple cider vinegar. You simply need to apply the oil on the sore at your leisure. This will modify the technique and reap the benefits that come with the tea tree oil in healing sores. Instead of topical application, you can also ingest the apple cider vinegar. As mentioned earlier, this product boasts of various antibacterial properties that are helpful to the body. Additionally, consuming it will allow you to get the necessary antioxidants that boost your immune, allowing your body to fight infections efficiently. After swallowing, rinse your mouth with fresh water. This removes the unwanted acidity in the gum area and mouth. The video below shows you 4 more Natural Ways to Heal a Cold Sore! Similar to use of most natural or otherwise remedies, some issues can develop about the use of the product. Most of the issues occur when you find that your body is not tolerant to the substantial. Regardless of the technique used in the application of the cold sores, some pitfalls can arise especially when you do not take the necessary precautions. Here are some of the things you need to watch out when using the apple cider vinegar. Most people assume that all apple cider vinegar is organic. However, this is not only the case. Inorganic apple cider vinegar may contain chemicals that hamper the positive attributes of the vinegar. Make sure you are using organic apple cider vinegar to avoid the side effects. Some of us have sensitive skin and direct application may lead to rashes or irritation. If you have a sensitive or overly dry skin, you should dilute the vinegar before application. Additionally, you should be aware that applying the vinegar directly to an inflamed skin causes a stinging sensation. Well, cotton ball is inexpensive. However, most people would want to utilize them as much as possible to avoid wastage. When it comes to controlling of the sore colds, you should only use the cotton ball only once. Using the ball repeatedly may keep transmitting the virus repeatedly. Being short of sanitation may promote aggressive infection on your skin. If you have an open sore, avoid direct application of the ACV. As aforementioned, there is a stinging sensation when you apply the vinegar. Applying it to an open wound may result in intense pain. Last few words. Although the decision of whether to use the ACV in cold sores treatment is often a matter of preference, the verdict is often positive albeit anecdotal. When you use the apple cider vinegar properly, the cold sores will heal faster. Although this product has some annoying side effects, the benefits you will get from it outweigh the negatives. However, we emphasize on the use of the organic apple cider vinegar only. For this reason, you should make sure that you have read the label properly. Additionally, you should always purchase the apple cider from a reputable website especially if you are purchasing it online. ACV is one of the best home remedies to get rid of cold sores overnight I hope you found Apple Cider Vinegar on Cold Sore informative. All the best!